Rachel Wasserman, Executive Director, joined Jewish Women’s Fund of Atlanta in August 2012, soon after its launch. 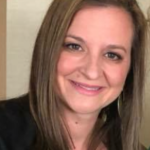 She arrived at JWFA with experience in grant-writing and implementing & evaluating programs, as well as a vast knowledge of the nonprofit sector. 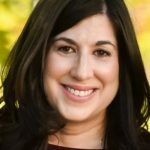 Since working with JWFA, Rachel has received the Pinnacle Award from Jewish Federation of Greater Atlanta and was twice selected by Atlanta Jewish Times as one of its “40 Under 40,” and one of the top 25 nonprofit innovators in Atlanta. She is frequently called upon to speak on panels about women’s leadership and giving circles and has written many Op-Eds and articles on issues surrounding women in the workplace. Rachel received her bachelor’s from Brown University in Psychology and Judaic Studies, her master’s in Social Work from Columbia University, and her master’s in Jewish Studies from The Jewish Theological Seminary of America. During her time at Columbia and JTS, Rachel participated in a special Jewish Communal Service program. She is a proud alumna of AVODAH: The Jewish Service Corps, which was the official launch of her career as a Jewish communal professional. Dina Fuchs-Beresin, Program Manager, comes to Jewish Women’s Fund of Atlanta after spending six years with the Atlanta Jewish Film Festival. 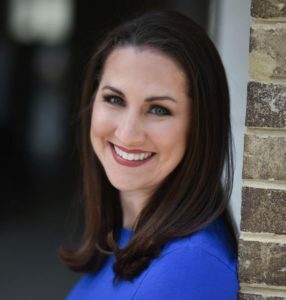 After starting her career as a journalist with CNN and The Oprah Winfrey Show, Dina segued to the non-profit world, working as the Media Relations Manager for the Jewish Federation of Greater Atlanta. She is also known throughout the community for her freelance work with various publications, including The Atlanta Jewish Times, Atlanta magazine, Jezebel magazine, Southern Accents, Pink, and Catalyst. Dina and her husband Todd are the proud parents of two children and active members of Congregation B’nai Torah. 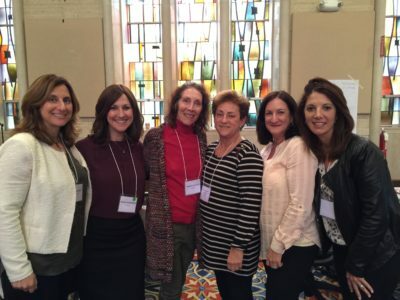 Amy Aarons Rosen, Adminstrative Associate, is currently serving her sixth year on the Board of Directors of Jewish Family & Career Services, where she served as Co-Chair of The Tasting in 2017 and 2018. Prior to moving to Atlanta, Amy worked in Washington, D.C., where she spent nearly five years on Capitol Hill working for Congressman Bud Cramer, Jr. from Alabama. Most recently, she spent almost five years as a lobbyist for the Jewish Federations of North America and the Association of Jewish Family & Children’s Agencies. Amy holds a Bachelor’s degree in Journalism from the University of Georgia. Amy and her husband Evan are members of Temple Sinai, and she is the proud mom to Zachary and Ryan, who both attend The Davis Academy.